Since 1983, PFK volunteers have been visiting hospitalized children, delivering toys and other needed items to help spread a little happiness, particularly during the winter holiday season. However, Sean is quick to point out that individual chapters are branching out and serving their communities at other times of the year as well. The Washington PFK chapter, for example, is coordinating a Super Bowl dinner at the National Institutes of Health in nearby Bethesda, Md. In addition to hospital visits, Sean is helping the D.C. group develop its social media presence. The CL65 pilot gained some valuable social media experience working with political campaigns and other organizations and volunteered his talents. “My goal is to help grow awareness of our organization and drum up participation,” he said. To check out Sean’s good work, search “DCPFK” on Facebook and look for future posts on Twitter and Instagram. 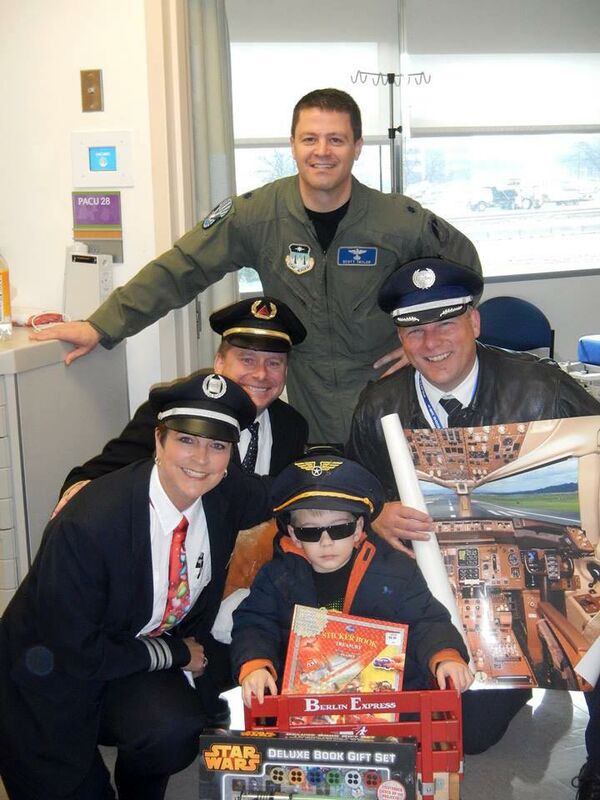 Learn more about Pilots for Kids.